TC Mag reports Alpenföhn's Matterhorn Rev. 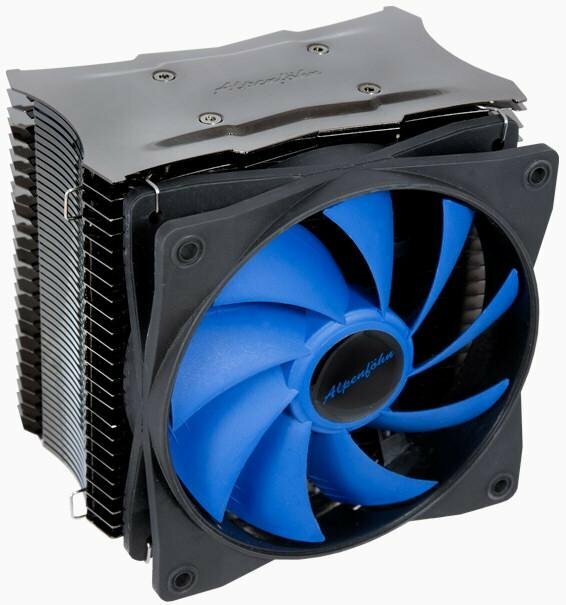 B processor cooler is now shipping in Europe for 54.90EUR. Intel LGA 775/1156/1366 and AMD FM1/AM2/AM2+/AM3 processors are supported, but unfortunately no LGA2011. 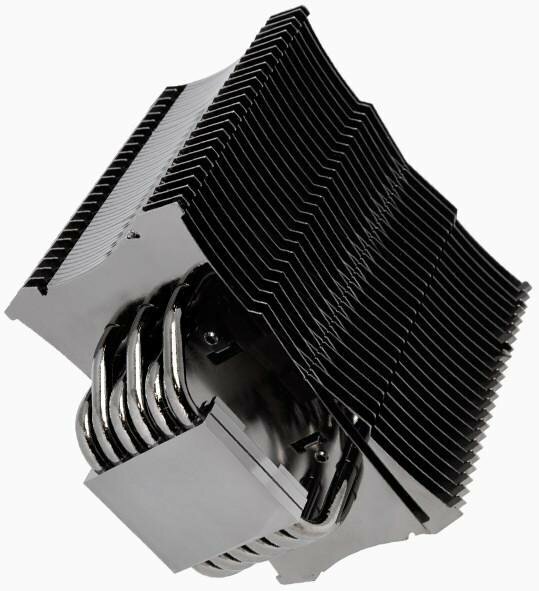 Almost two years after releasing the original Matterhorn, Alpenföhn has returned with a revised version of its CPU cooler which features updated processor support (mind you, LGA2011 is not on the list), a nickel plating that also covers the copper base, and a cable for using a second PWM fan. The Matterhorn Rev. B measures 138 x 156.5 x 100, it includes six 6mm copper heatpipes, trapezoid-shaped aluminum fins, and is bundled with a 120mm Wing Boost Hydraulic Bearing fan that can operate at 500 to 1500 RPM (8 - 24.8 dBA sound output).